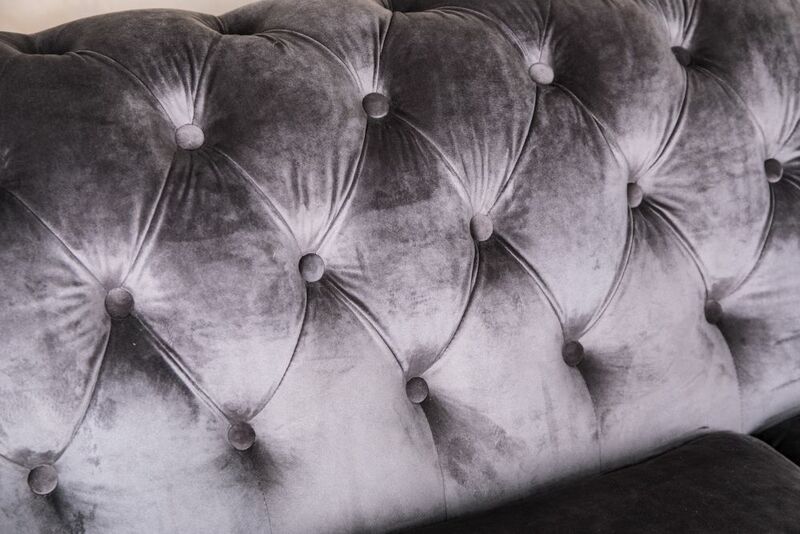 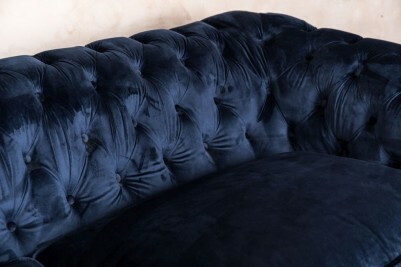 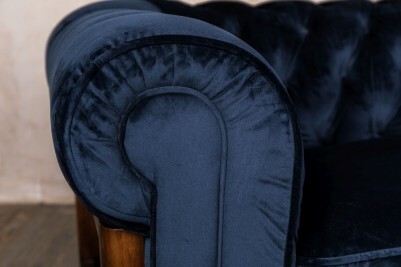 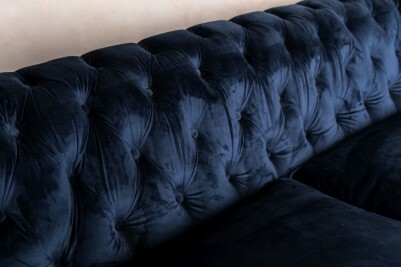 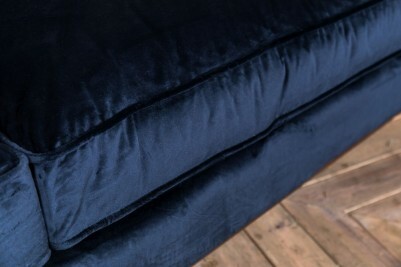 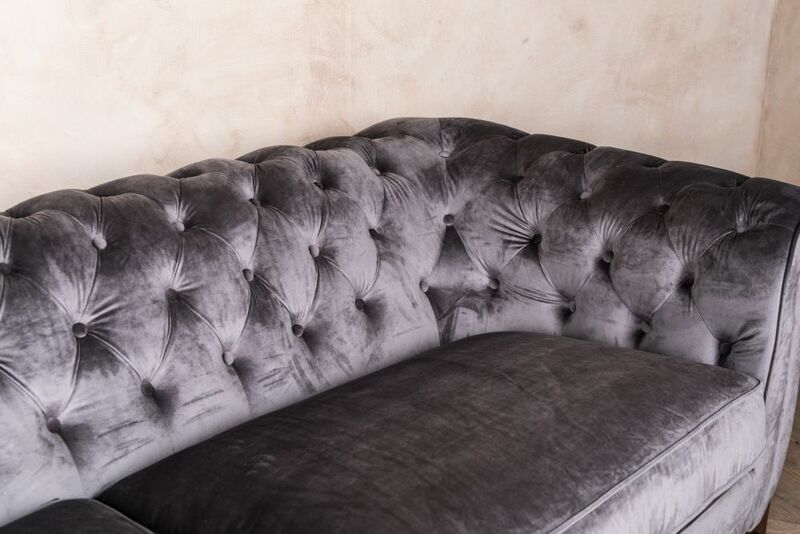 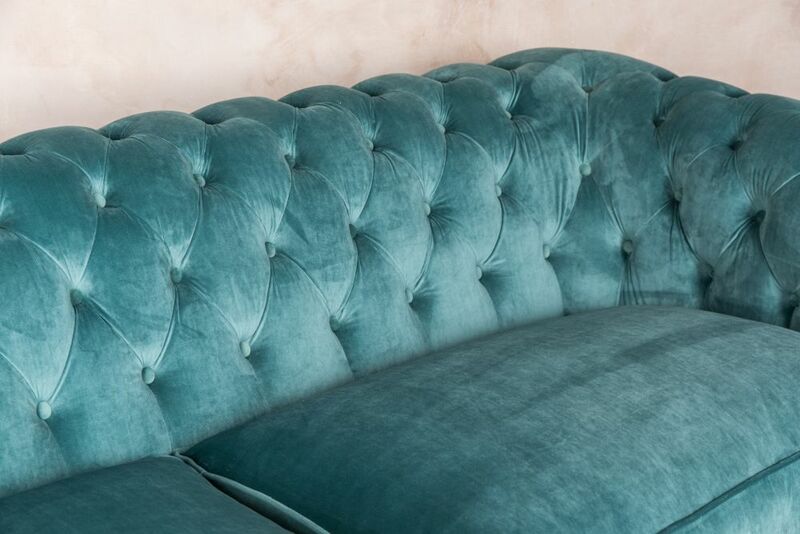 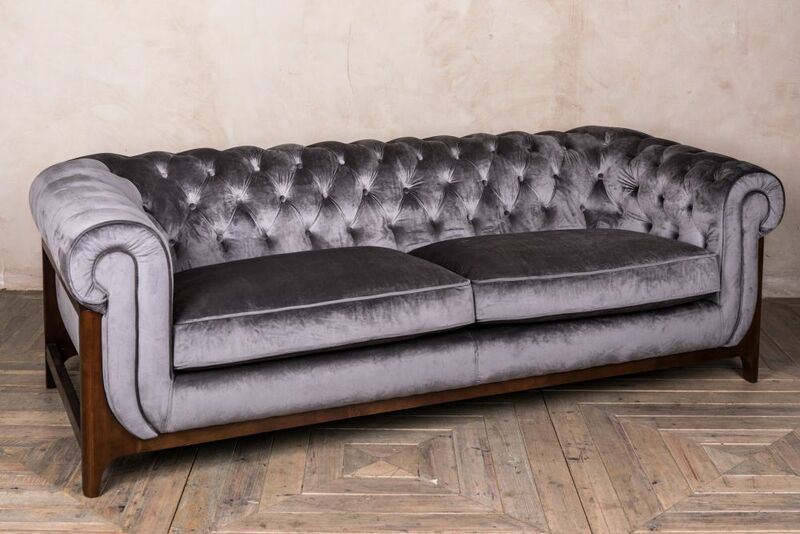 Add a touch of glamour to your home or business with our velvet Chesterfield sofa. 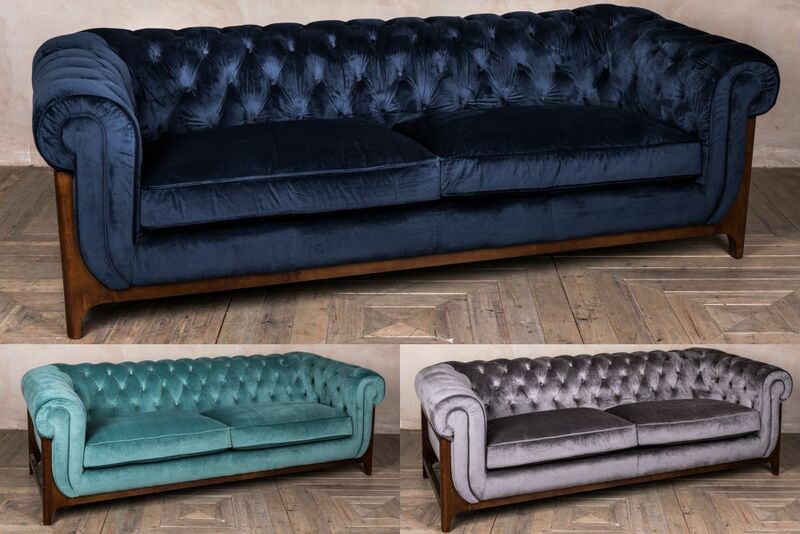 Our ‘Dijon’ Chesterfield sofa is available in five beautiful styles; the velvet sofa is available in smoked pearl, duck egg and navy, all with walnut coloured frames. 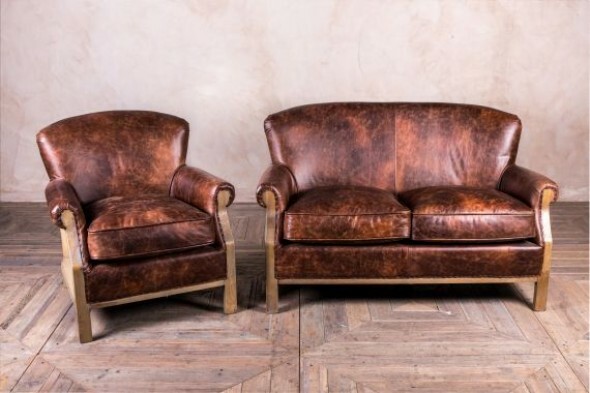 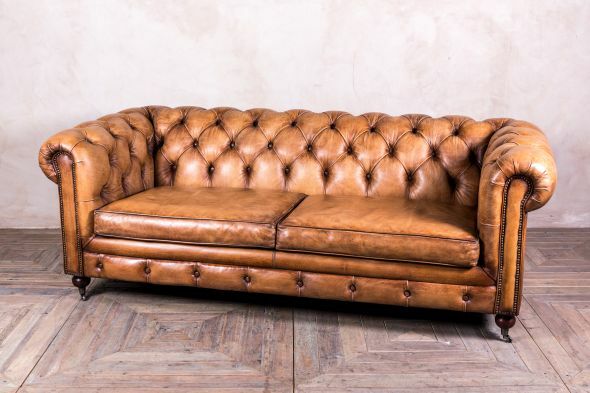 We also stock a brushed leather sofa in rich caramel and a distressed leather sofa in chocolate, both of which come with a limed oak frame. 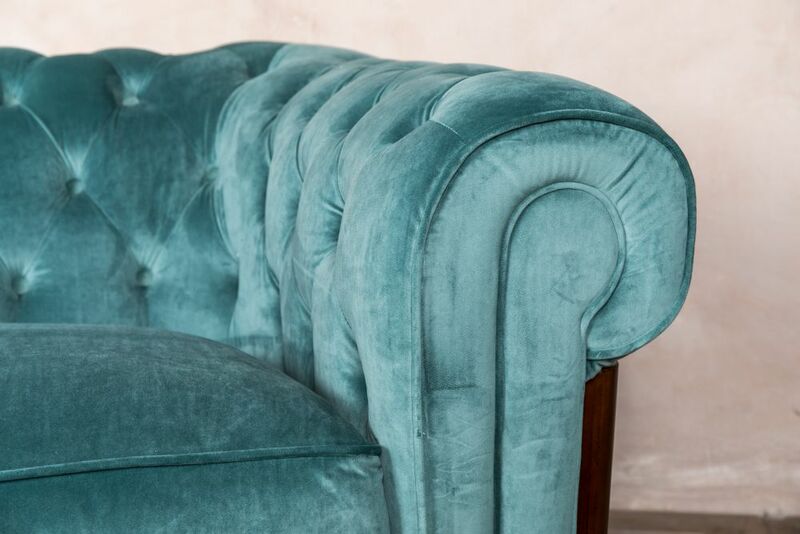 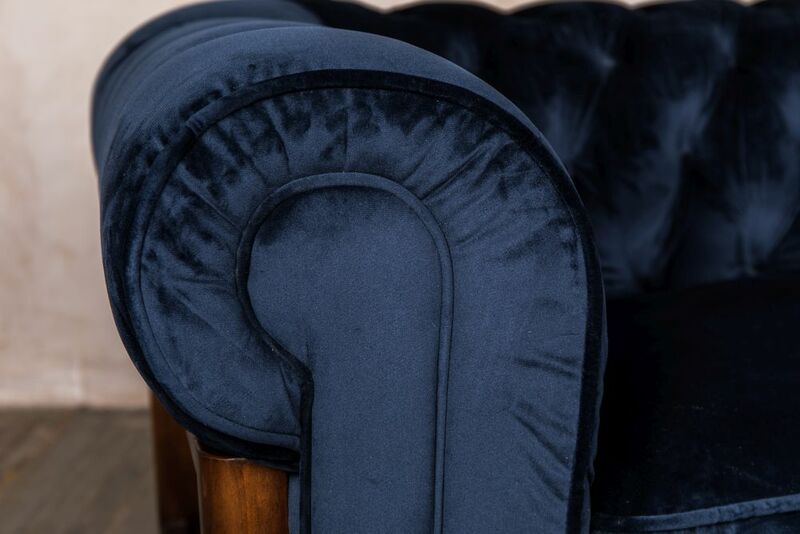 The deep buttoned back and traditional scroll arms give the ‘Dijon’ an effortlessly luxurious look. 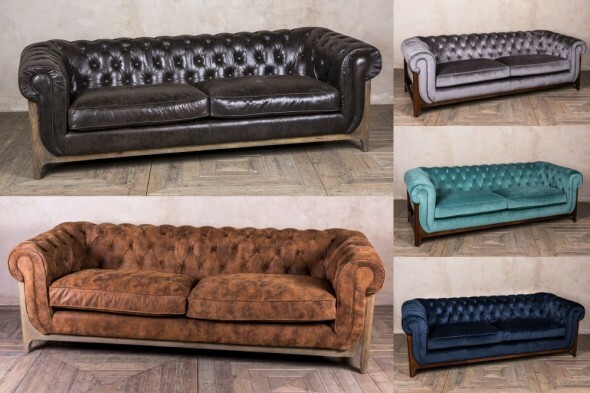 Both the leather and plush velvet designs would add vintage style to a room, and are certainly stand-out pieces of furniture. This sofa is a modern twist on the traditional style. 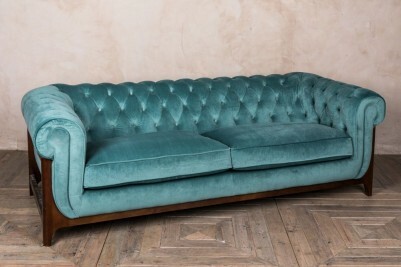 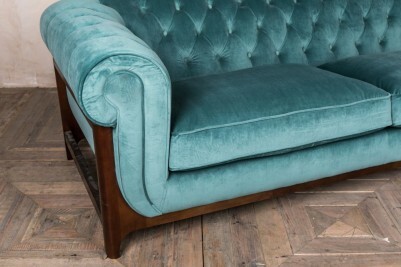 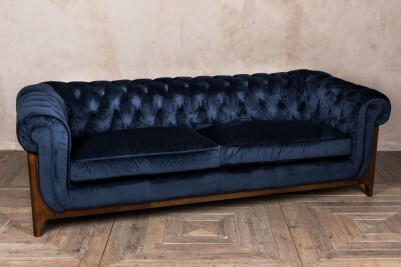 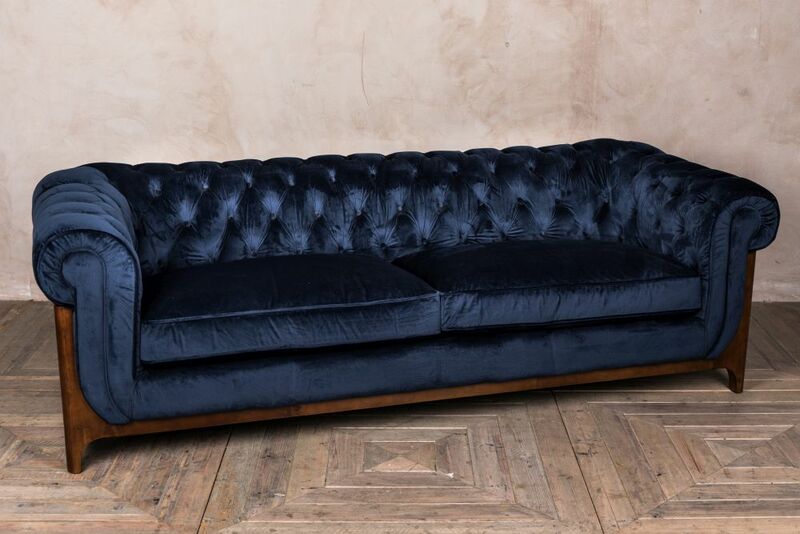 The velvet Chesterfield sofa would look great in a boutique hotel, salon or living room. 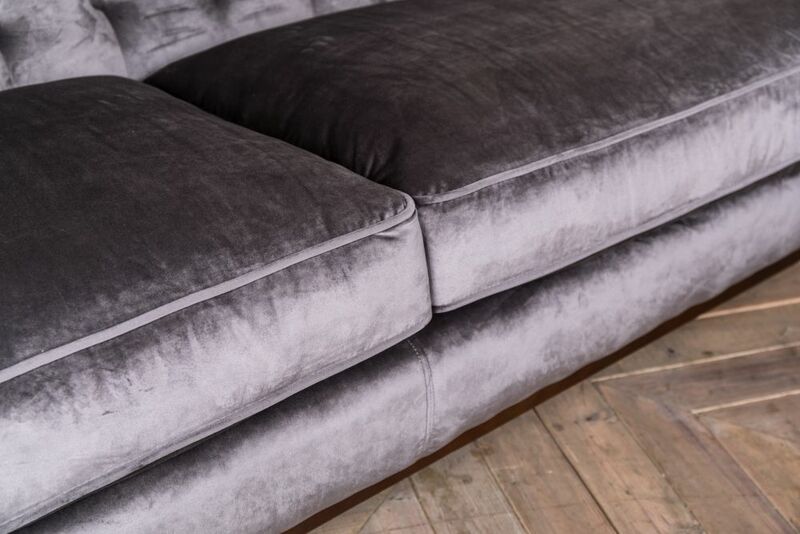 Please note that due to the reflective nature of velvet, these sofas may differ slightly in colour depending on the lighting in the room. 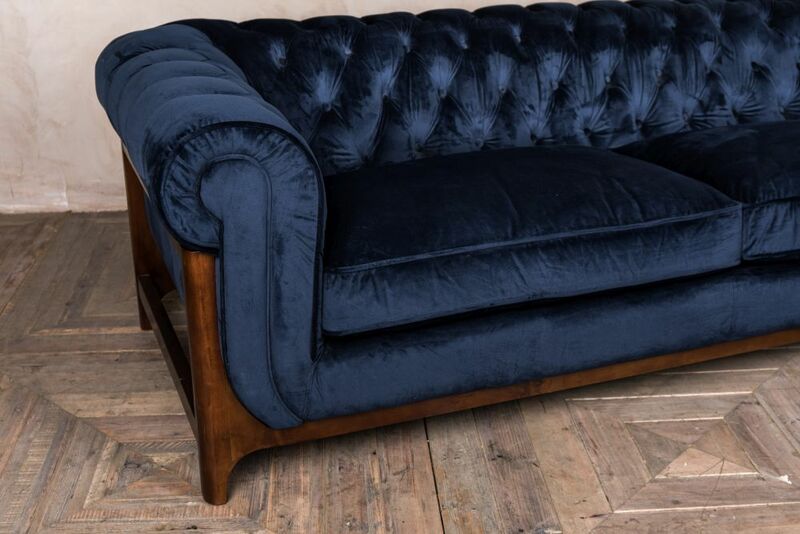 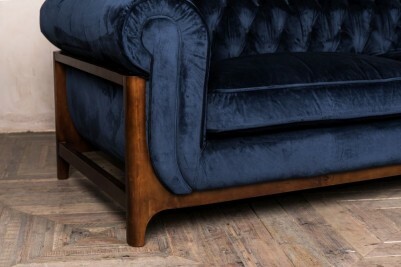 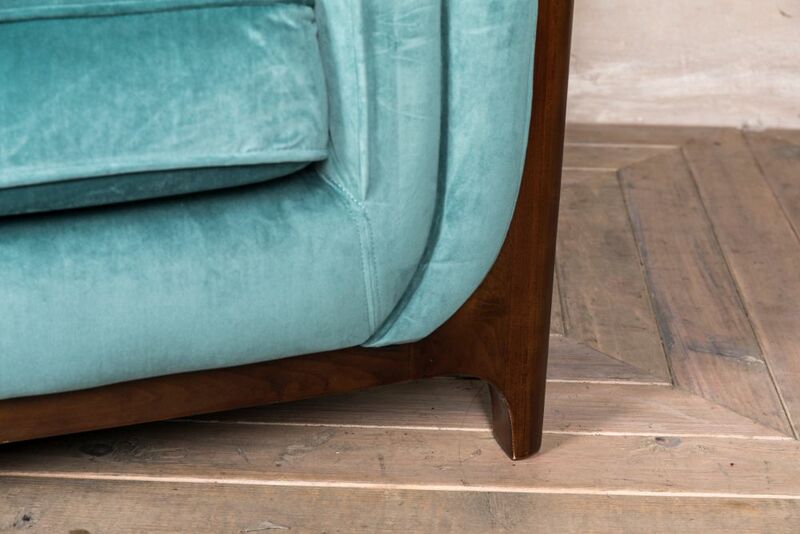 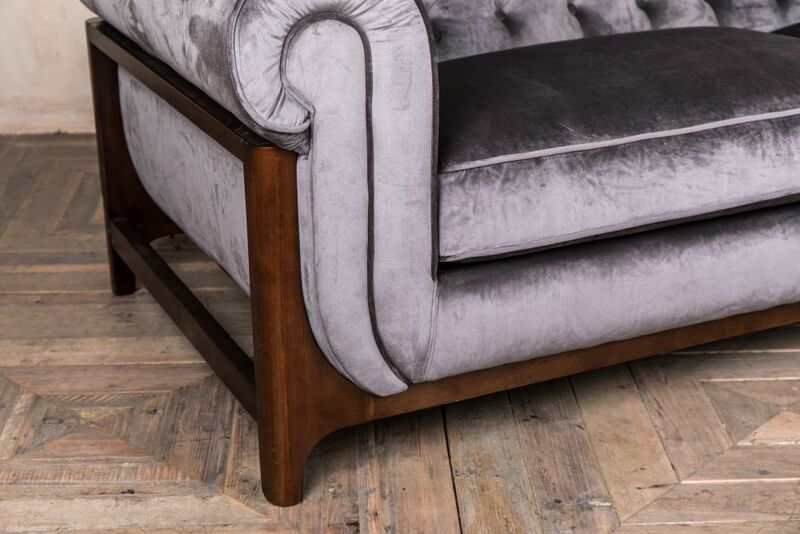 Our Chesterfield sofas have solid hardwood frames and foam filled cushions. Please check the dimensions carefully to ensure that you have adequate access for this sofa before buying. 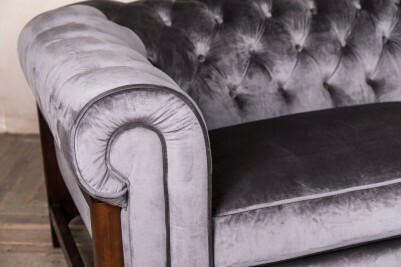 Browse our range of armchairs and sofas here.